A big rig accident is bad enough when one vehicle is involved. When four huge trucks all collide in one single crash, the results can be disastrous. A recent crash in Florida involved a dump truck, a gas tanker truck and two tractor-trailers. Only one driver was injured and taken to Cleveland Clinic in Weston for an unknown medical condition. The truck accident happened on the morning of December 29 on U.S. 27 in Broward County. A 44-year-old man was driving a tractor-trailer south when it lost control and crossed the median. The truck fell over into the northbound lanes. A 51-year-old man was driving a gas tanker truck at the time and crashed into the tractor-trailer. The gas tanker truck overturned and spilled its cargo onto the roadway. Behind the gas tanker truck was a 75-year-old man driving a tractor-trailer and a 58-year-old man driving a dump truck. Both also collided with the overturned trucks. As a result, fuel spilled out all over the roadway. More than 40 firefighters and other crew members were at the accident scene to cover the gas spill with foam to prevent a fire from occurring. The accident happened at 5:30 that morning and by 10 a.m., the rest of the fuel from the gas tanker truck was transferred into an empty tanker truck. The highway was closed all day—nearly 16 hours—while crews cleaned up the fuel spill that resulted from the crash. Drivers were asked to avoid the area and take an alternate route. Crews were also out the following morning to resume cleanup activities. Rollovers can happen in a variety of ways. Speed is the most common factor, accounting for 45 percent of the accidents in a study conducted by the Federal Motor Carrier Safety Administration (FMCSA). Curves in the road, slippery surfaces and long downgrades can also lead to rollovers, especially when the driver is having trouble controlling the truck. Cargo can also lead to rollovers. 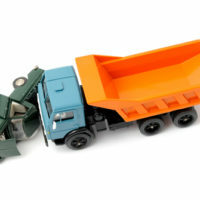 Overloading a truck or failing to fasten it securely can cause a truck to roll over. Rollovers can also occur when a truck driver fails to stop in time to avoid a collision. Weather conditions and inattention can attribute to this. Lack of braking can lead to a crash, and the impact can cause the vehicle to overturn. Sometimes a truck driver’s emotions can lead to a rollover. Anger and aggression can cause a driver to overcompensate and turn or swerve too quickly, causing the tractor-trailer to turn over. Truck accidents are very complicated, so if you are involved in one, it’s a good idea to seek legal help as soon as possible. The longer you wait, the more difficult it can be to obtain compensation for your damages. The Dade City truck accident attorneys at Mander Law Group can help. Let our experienced lawyers assess your case and fight for your legal rights. Schedule your consultation today by contacting us at (800) 557-0411.